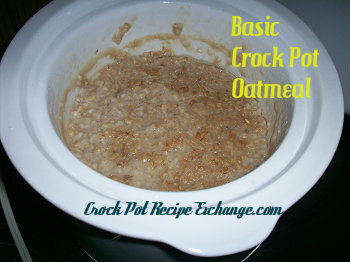 We are starting the new year off with our basic crock pot oatmeal. This has been a go to breakfast for me and Miss Maddy for a while now. It is so simple to make, it’s not even a recipe really. I make a batch of it once a week and then put what we don’t eat in 8 oz. jars with lids (in the fridge of course) for easy heating up on other mornings using the microwave. 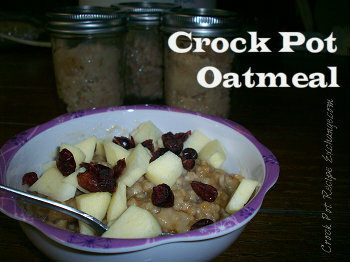 Starting with this basic oatmeal allows us to add in what we each like (which is usually something different for each of us every day… just keepin’ it real YO!). Spray a 1 – 1 1/2 quart crock pot with non stick spray. Place lid on and cook on low for 6 – 7 hours or on high for 3 – 4 hours. Serve with desired add ins.